A submission to redeem myself for trying to submit "Battery Operated Boyfriend." Tried to do the hay but it was way too complicated. Edit: Added sand and some sky atmosphere. I was going to pixel a big pile of hay on his back like in the reference, but i was unable to make it look nice. So i just cropped it out so I could enter the weekly challenge. 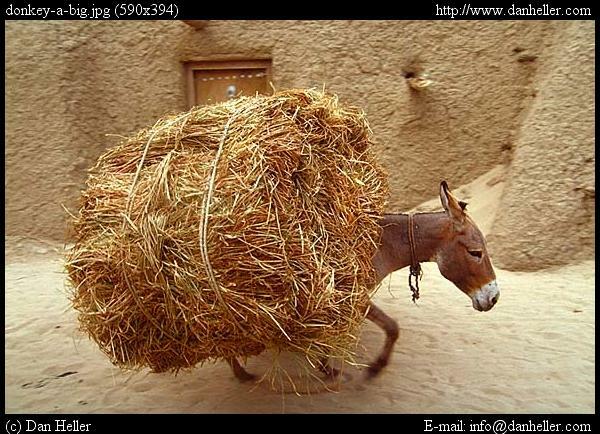 Where is the burden! He's missing a rider or a big pack of corn! The sand texture you added is very uniquie... but very cool. I thought "Battery Operated Boyfriend" was a fantastic idea, by the way. This has been a true beast of burden for me! Made a new edit.. hope it's better. Poor animal, I bet he is very tired and thirsty, he looks so sad! Ground could use some work, looks like a bunch of random dots, no texture. Edit: Yeah I see you fixed the ground. I think it could be more like small dunes, right now it looks just like lines, but this is much better than the previous ground. Nicely done, although I would add some dirt to the ground instead of just one color.